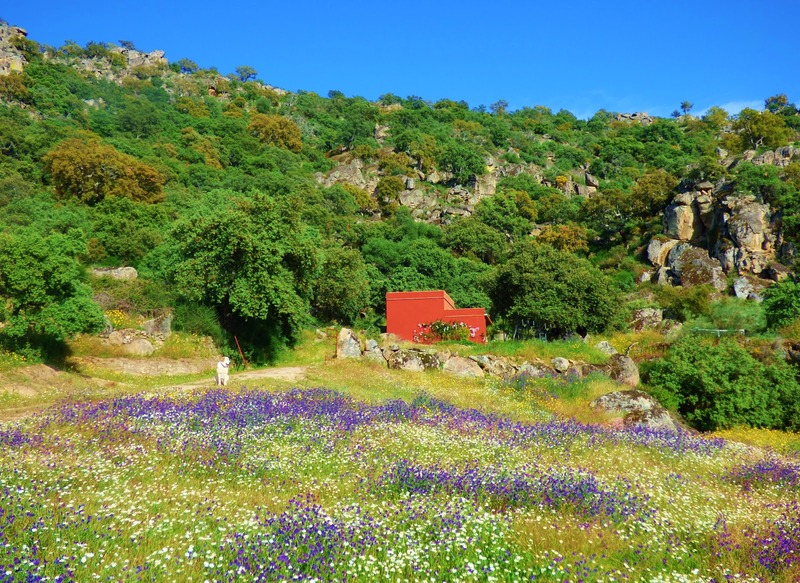 Beautiful places to enjoy your holiday in the stunning scenery of the Sierra de Montanchez, Extremadura. Our houses have been created individually as homes not the usual holiday rentals. They are situated in a particularly lovely part of the Sierra de Montanchez famed for unspoiled nature, tranquillity and direct access to the ancient paths of the mountain and its villages. 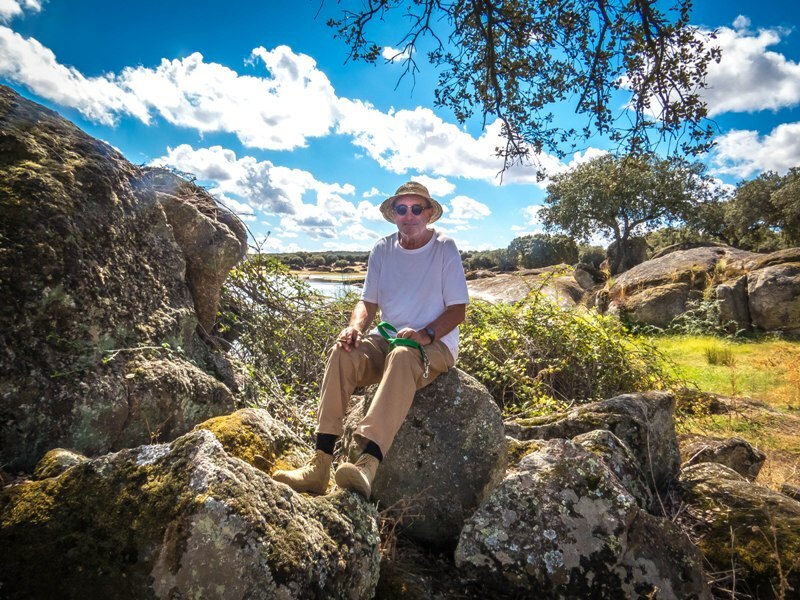 The sierra is ideal walking country from easy to challenging; not only the ravishing nature but many fascinating and unique features of rural architecture such as the water mill gorge, numerous rustic ermitas and the wonderful Visigoth basilica of Santa Lucia situated in a remote cork oak forest. 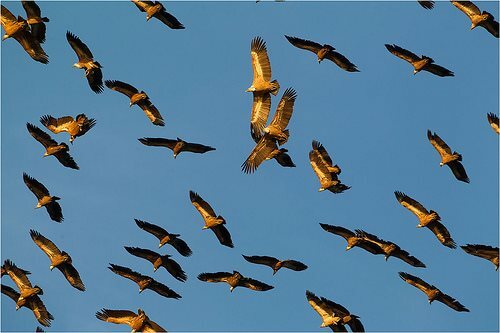 Bird watching is a particular delight, there is nothing to disturb the birds so many species can be seen in their natural habitat including eagle owls up in the crags of the sierra above Finca al-manzil. Please look at the bird watching entry, month by month report. There are four houses, all set in their own grounds, completley independent with no other houses in view. 2 - 6 or for larger groups a combination of 2 houses. The houses are in their own extensive walled fincas so very private with 300 - 600 metres of woodland between individual houses with private entrances from the same country lane. 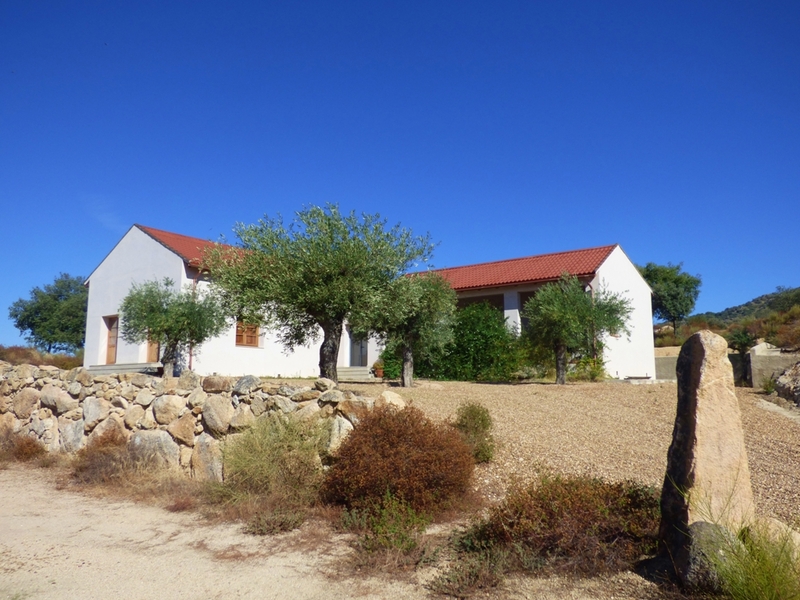 El Cortijo - Available for 2 - 6 : 3 bedrooms all with en-suite bathrooms, very spacious, wonderful views. In 22 hectares of wooded mountain slope, private pool, lovely views in all directions. A comfortable and characterful family home, very spacious with charming atmosphere. the peaks and a lovley holm oak copse in the barn meadow. Very spacious just for 2. La Habiba- Available April - October. 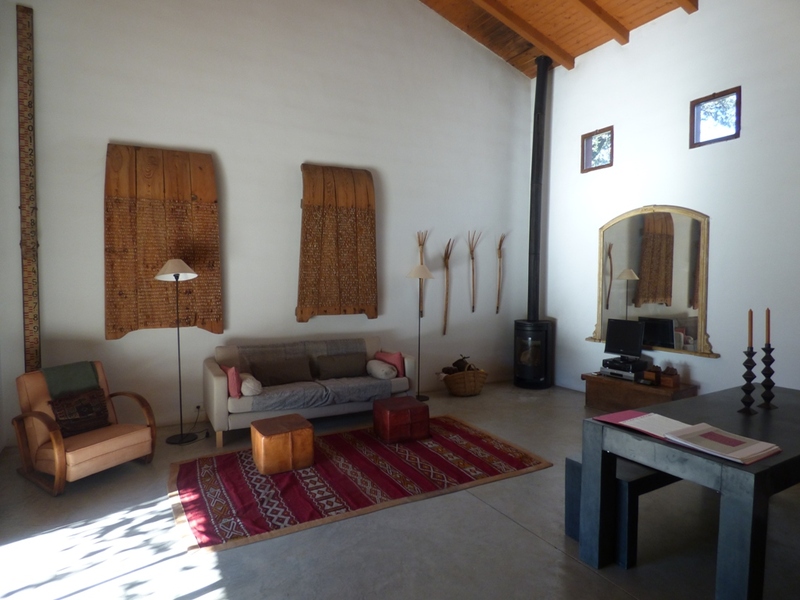 Our lovely little house on a beautiful part of the finca, just or 2, very tranquil and private. 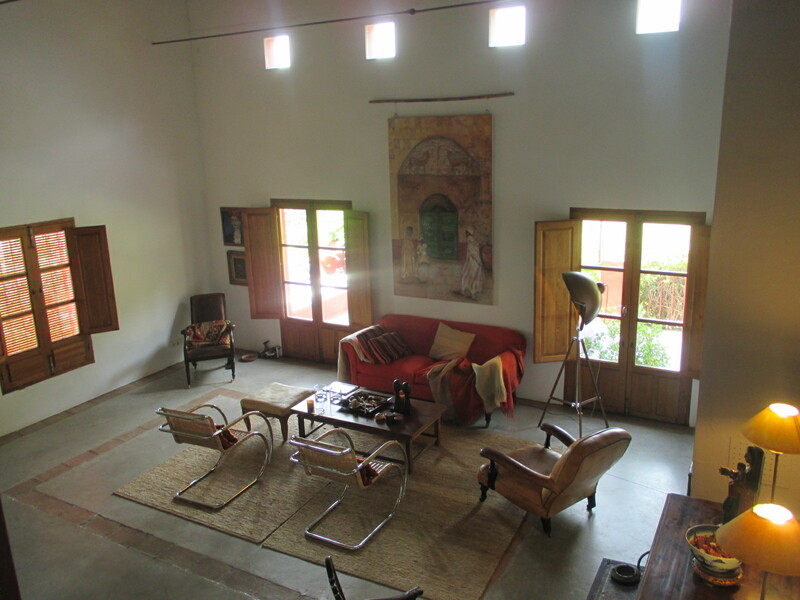 It's a big studio with bedroom and bathroom, covered terrace with kitchen and dining area, big roof terrace. A perfect retreat. We have powerful solar energy systems which have been carefully designed to run the houses BUT as with all solar powered houses we have to be careful and sensible about using powerful machines at the same time. Besides powering all the lights, sockets, fridges and washing machines they also run automatically borehole pumps, swimming pool pumps and at Finca al-manzil a tracker system which moves the solar panels into optimum position every day. There is a lot of power being used but the system is designed for maximum usage of 3500 watts with optimum sun. We ask our guests to help by not using unnecessary lights, always switching off lights and appliances when not needed and not to use washing machines or vacuum cleaners at night when the storage batteries are at their lowest. Our system works perfectly for all normal daily needs and we hope that everyone staying at Finca al-manzil and the other rural retreats will enjoy experiencing a totally solar powered off grid environment, we are doing our little bit to help the poor battered planet and we ask for helpful participation. 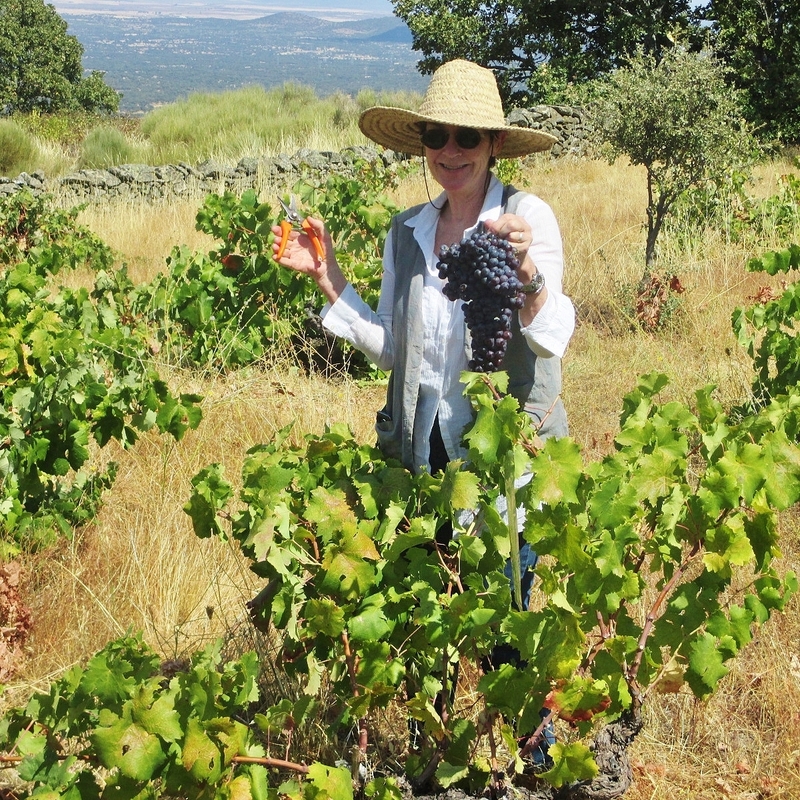 Here we are.... Pippa and Manfred enjoying being out and about on the finca and beyond in Extremadura.